Pennsylvania is a popular destination for hunters and fishermen—as well as for history buffs, given the state’s role in the Revolutionary and Civil wars and its long Colonial history. Historic landmarks and museums can be found throughout the state. For those looking to start a career in teaching, Pennsylvania also provides a rich and livable setting in a family-friendly environment. While the current educational climate has its challenges, lawmakers and legislators are taking action to ensure that Pennsylvania’s students continue to receive an excellent education. What are the benefits of teaching in Pennsylvania? In May 2012, Pennsylvania was awarded a $36.1 million federal grant to strength literacy programs statewide. The Keystone to Opportunity grant program supports literacy outcomes for all children from kindergarten through 12th grade, including disadvantaged students, limited English-proficiency students and students with disabilities. To that end, 95 percent of the grant moneys are being funneled to local districts. The Pennsylvania State Board of Education is also working toward implementing Pennsylvania Common Core State Standards (CCSS) in English Language Arts and Mathematics by mid-2013. As a result, teachers at all grade levels will have new standards as to what topics are to be taught and mastered. The CCSS is a state-led alternate to the No Child Left Behind Act, which gives states more flexibility in how students achievement is measured; so far, 45 states have adopted CCSS standards. Pennsylvania is already taking steps toward developing more state-specific measurements of student progress, including making its Keystone Exams a requirement for high-school graduation. These changes would require students graduating in 2017 to show proficiency in algebra I, biology and literature; by 2020, graduates would also be required to show proficiency in composition, civics, and government. The state also plans to develop five additional Keystone Exams for voluntary use in the subjects of geometry, chemistry, algebra II, U.S. and world history. All these measures, as well as others still in the preliminary stages of development, are evidences of Pennsylvania’s ongoing commitment to quality education—and for the need for teachers who are qualified in these subject areas. The U.S. Department of Education currently indicates teacher shortages in several areas statewide, including foreign language, English as a Second Language, middle- and high- school science, special education, and vocational education. This creates unique opportunities for specialized educators who might have difficulty finding placement in other states. In terms of growth, the current forecast isn’t promising. The Pennsylvania Department of Labor and Industry predicts that the number of teaching jobs will shrink by 2.4 percent through 2018. In addition, U.S. census data for 2010 revealed a 10 percent drop in student enrollment in Pennsylvania, again making it unlikely the state will increase its educational spending in subsequent years. However, the Bureau of Labor Statistics predicts that a high number of elementary and secondary teachers will retire between now and 2020, which should ensure plenty of new openings for teachers in the foreseeable future. And again, teachers with more specialized degrees—especially in those areas covered by the Keystone Exams or by current teacher shortages—will greatly increase their chances of employment in Pennsylvania. According to the National Education Association, Pennsylvania teacher salaries (see above) are 104 percent of the national average. At the same time, the overall cost of living in Pennsylvania is 96 percent of the national average. Thus, a teacher’s dollar will stretch further in the Keystone State. Benefit packages vary by school district, but most provide health-care plans for their teachers, including dental, emergency care, prescription drug plans, and sometimes eye care. For example, the Fairview School District provides teachers with access to health, dental, and vision insurance; teachers also have access to a basic flex-spending plan, which allows them to set aside a percentage of their income for medical expenses, tax-free. Pennsylvania teachers have their pensions managed by the Pennsylvania Public School Employees’ Retirement System. Teachers may retire after 35 years of service, regardless of age; at age 60 with 30 years of service, or at age 62, after one year of service. Early-retirement options are also available. The Pennsylvania State Education Association is the state affiliate of the National Education Association. As such, it’s the largest teaching association in the state. Membership gives teachers access to discounts on insurance programs and other money-saving opportunities. Teachers may receive additional benefits by joining some of the other teaching organizations (see below) available in Pennsylvania. These associations offer a variety of benefits including supplemental insurance programs, teacher networking and professional development opportunities, and exposure to new trends in their respective fields. Before a potential teacher can be hired in Pennsylvania, he or she must first earn teacher certification in the state. The Pennsylvania Department of Education’s Division of Certification Services requires candidates to complete a bachelor’s degree program, with a minimum 3.0 cumulative GPA, and usually from a state-approved teacher certification preparation program. In addition, all candidates for certification must pass Praxis I Basic Skills Exams in reading, writing, and mathematics. 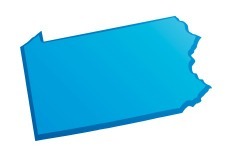 For more detailed information about certification requirements in Pennsylvania, visit the Pennsylvania teaching certification website.